I'm happy to announce that I'm one of six artists featured in "Muse." 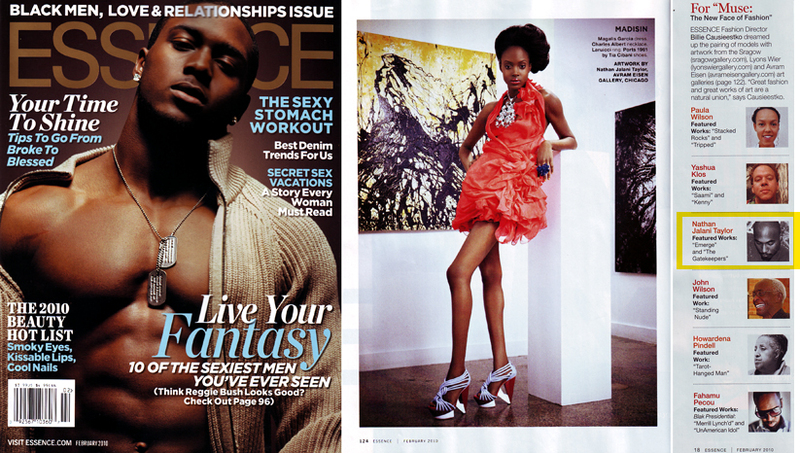 A Fashion + Art feature in Essence Magazine's February 2010 (Black History Month) Issue. Two of my original paintings are shown, "Emerge" & "The Gatekeepers." The issue is on newsstands now... pick it up, look for the one with Reggie Bush on the cover. See my work at: Avram Eisen Gallery, Chicago IL., Jan. 21st to Feb. 28th. Peace.